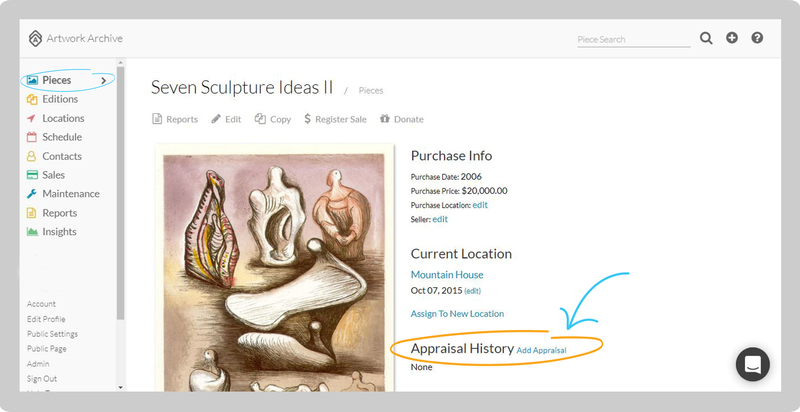 You'll see the increase in value of your Pieces by adding Appraisals. Recorded Appraisals also inform the data collected by your Insights Feature. You'll be ale to see the change of value of your entire art collection. Click on Pieces in the left-side menu. Click on the Piece for which you'd like to include an appraisal record. Go to Appraisal History on the right and click Add Appraisal. 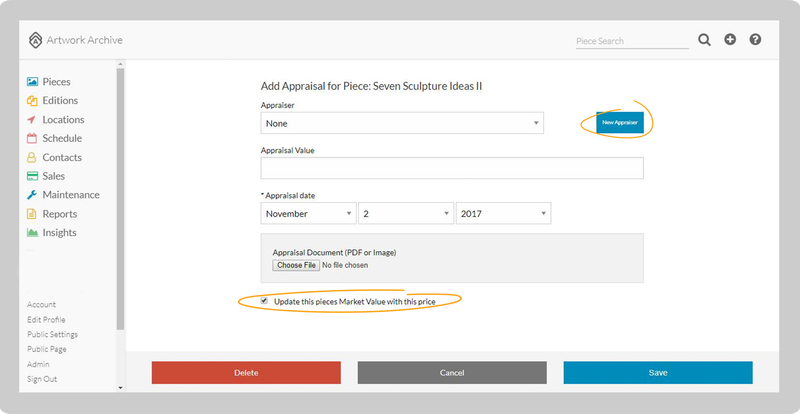 Add in the information and upload the appraisal document. If the appraiser is not already in your Contacts, click New Appraiser and fill in the details. Uncheck Update this piece's Market Value with this price if you do not want this to occur.